Well we did it. We made it to another New Year! 2017 has been both amazing and trying to me. I launched Startup In Stilettos, my self study program. and I said goodbye to my relationship with someone that I knew deep down wasn't for me and didn't love me...It's that whole listening to your inner self thing. How do you set yourself up for a great 2018? One that's even better than last. The only way to get to the final destination is to know where you're going. know what you want out of this year and what you would like to see happen. Set a concrete goal. Don't just say you want to lose weight, say exactly how much weight. 2. Zone in on that goal. You need to eat breath and sleep that goal. Don't get distracted and don't get discouraged. If something happens that does knock you off kilter know that it isn't the end of the world and you can pick right back up. I don't just mean going to church. Mindset places a huge factor in reaching goals and if you spend any amount of time in the DYL community you'll pick up on that. I look at spiritual practiced as anything that's good for the soul...mediation, deep breathing, listening to yourself, eating well, getting enough sleep. All of these play a huge factor on the well being of your life. Don't feel like you have to reach your goals alone. If you need support you can hire a coach, If you need to vent you can jump into a facebook group and talk about what's coming up for you. If you need to share in the joy and have someone celebrate with you-you can do the same. The world is a much smaller place now and there is no reason for you to feel like you're alone in your journey. If you're starting a business that sure isn't meant to be done alone and I'm here to support you. Ready to make 2018 the best year ever? Are you in need of some support to help you make 2018 your best year yet? 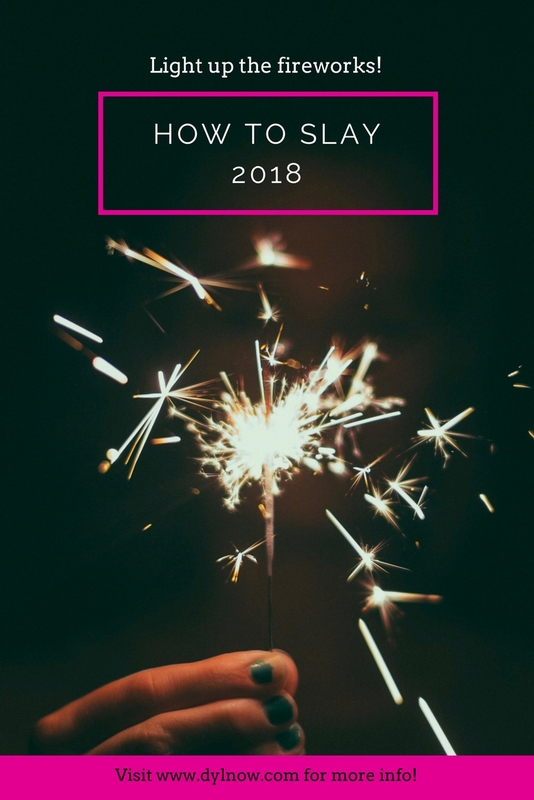 Maybe your sick of making resolutions that don't stick and you're ready to become your best self, make more money, and finally launch your business. If that's you lets chat, click the button below and answer a few questions and I'll be in touch to schedule your fee session.